A Gift From Euphoria is a well-funded album loaded with symphonic arrangements, excellent studio musicianship, psychedelic audio collage, and sound effects. It’s probably near to the apex of experimental rock from this era, and of the melding and juxtaposition of different styles of music. The first two tracks on the record demonstrate the pace. Lisa an expansive and string laden orchestral number gives way to a legit bluegrass-country tune with banjo and pedal steel. Wait a little longer and you’ll get some fuzz guitar brain melters. 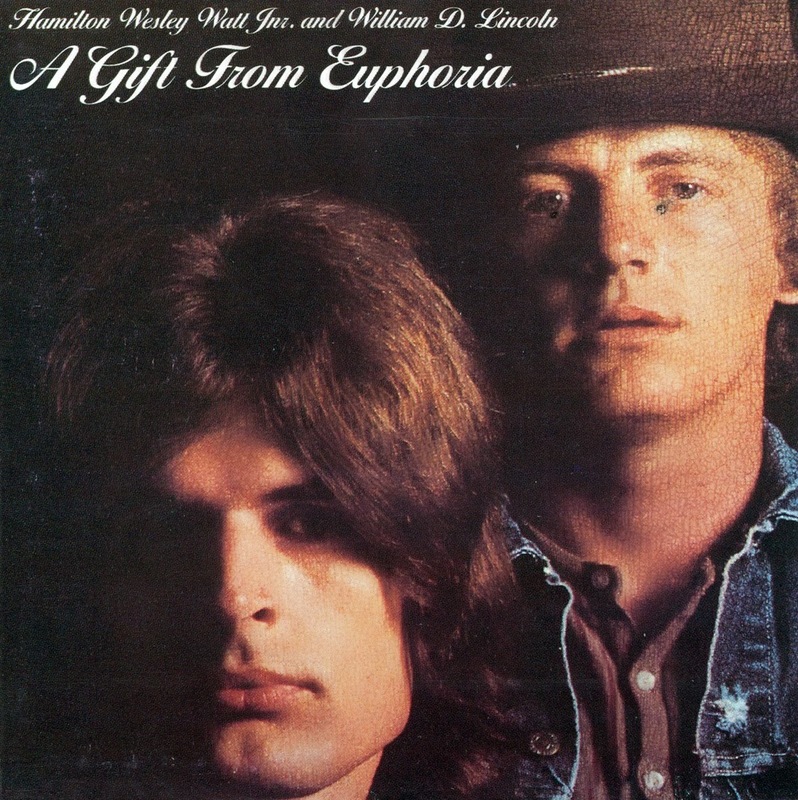 Euphoria is all over the place on this album, which was recorded in Hollywood, London, and Bradley’s Barn. Some of the best session men in town put this one together, and it shows. Nary an unprofessional sound is on this record and some of the arrangements are stunning. They could use this album to replace the orchestra at the Boston Pops. 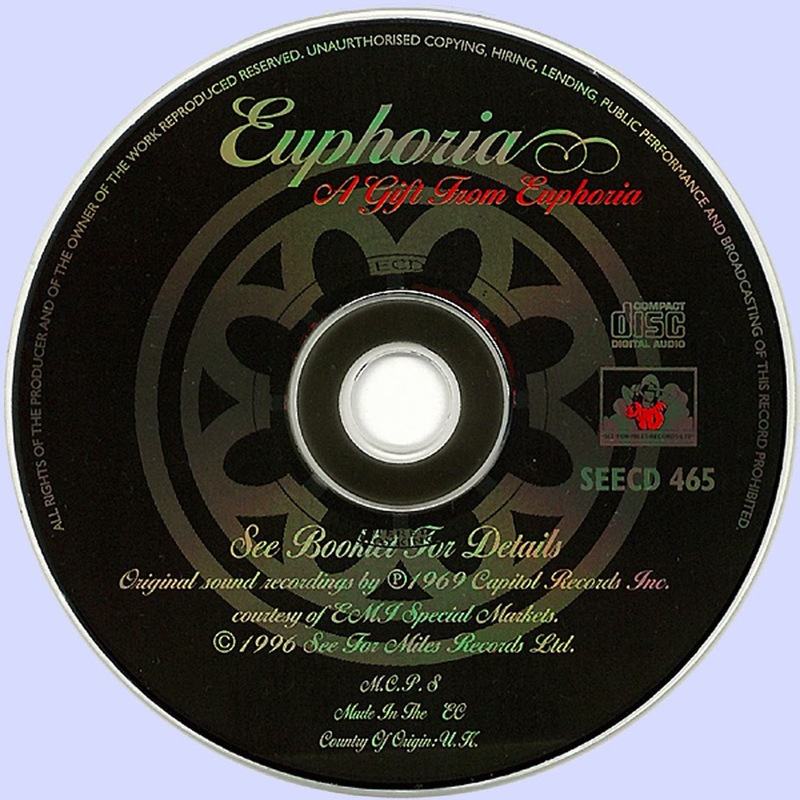 This is the only album released by the short lived Euphoria. The liner notes imply that the members disappeared, but parts of the liners are as out there as the sounds. Get this one for a supreme example of country and rock gone suicidally psychedelic, sounding remarkably fresh today.